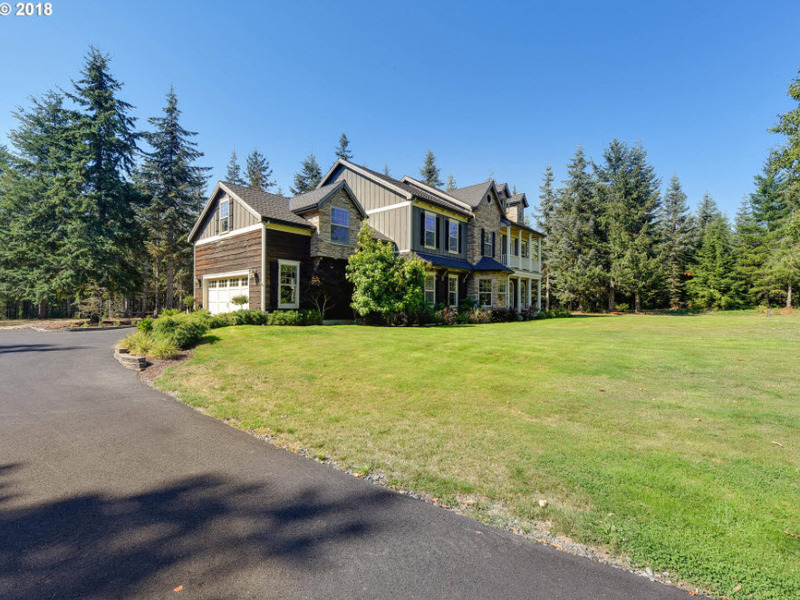 Outstanding opportunity to own a truly custom home with the privacy you want. 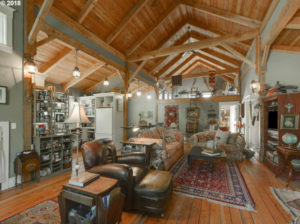 Builders own custom 5100 square foot home on two tax lots totaling 36.25 acres. 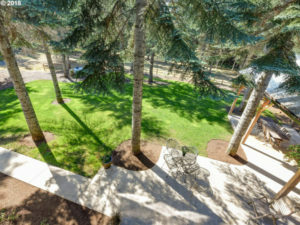 This Eagle Creek home for sale includes majestic views of Mt Hood as well as well established mature evergreen trees that create a feeling of serenity. 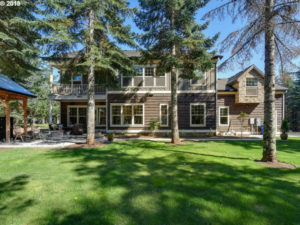 The Eagle Creek Home boasts upper end finish work throughout providing a true feeling of luxury. 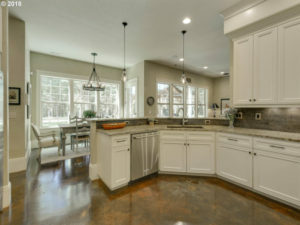 The main floor showcases stained concrete floors including throughout the kitchen. 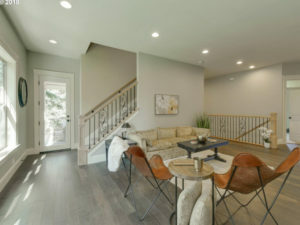 You will find the gourmet professionally appointed kitchen both stylish and tasteful with high end additions and finishings. 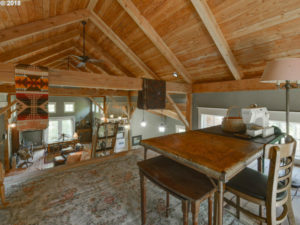 The open bright airy feeling is conducive for entertaining as well as everyday living. 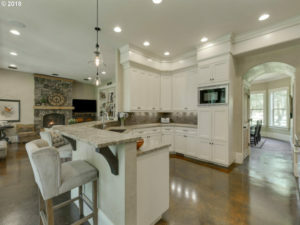 This large open kitchen provides the space and configuration that encourages connections. 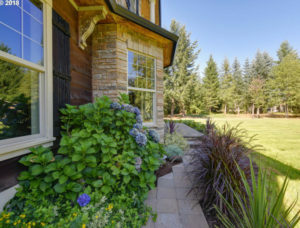 The artful execution on blending use of granite, travertine tiles and other stone is exquisitely and timelessly stylish. 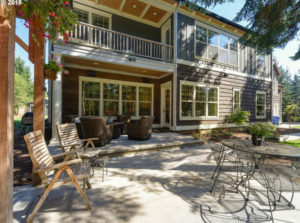 The eat in bar can seat the whole family and is only steps away from the open dinning area that overlooks your wooded privacy. 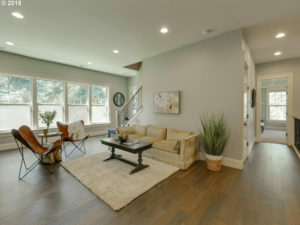 The living room is also open to the kitchen and dinning area creating an open floor plan that accentuates the highlights of this truly custom home. 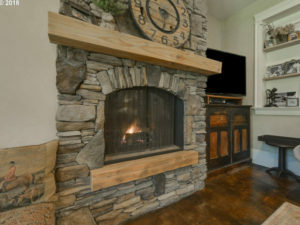 The focal point of the living area is a fantastically tailored stone fireplace with earthy warm tones. 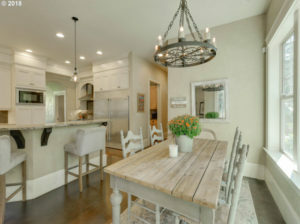 Designer touches abound throughout this home. The built-in bookcases provide you with outstanding space and functionality as well. 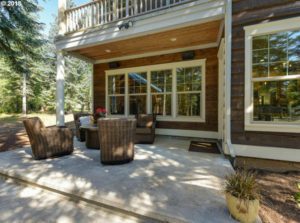 This home is truly spacious and provides an additional formal living area that provides seating and relaxation area or could be easily re-purposed. 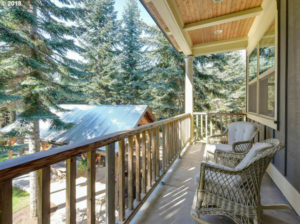 The easily accessible deck also provides outstanding opportunities to take a seat and enjoy the nature and serenity that surrounds you. The Master Bedroom provides ample room for even the largest furniture while offering a vast roomy feel. The on suite bathroom is also large and comfortable for two. 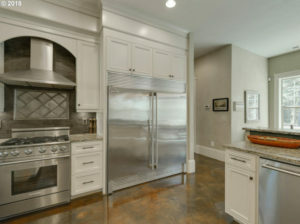 Again the blending of granite, travertine tiles and other stone surfaces provides warm timeless inviting tones. 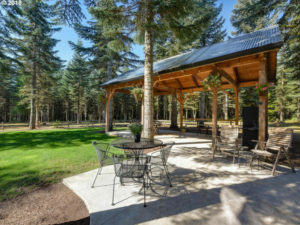 You’ll be able to enjoy the serenity of your surrounding nature with the fully covered spacious patio surrounded by evergreen trees and nature. 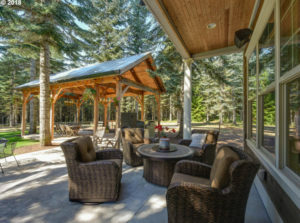 The multiple seating areas provide an outstanding canvas for entertaining as well. 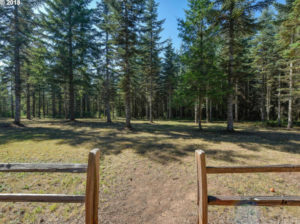 Whether you want to go for a stroll through the woods, utilize your fully fenced arena or just enjoy the lush green grass this home has everything you need to truly enjoy your downtime everyday. 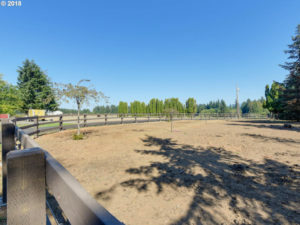 The horse barn, shop/ag building offers plenty of room to house all your toys too. 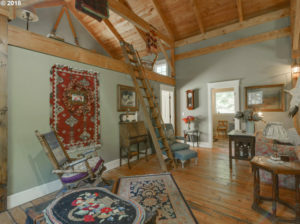 This house also showcases an amazing guest area or possible mother-in-law quarters. 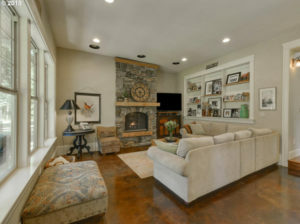 The same warm tones and comfortable spacious planning is through the guest area as well.